Previously, I have shown you how to setup Sitewide Link Policy. In this tutorial, I will show you how to use SEOPressor Score Manager. 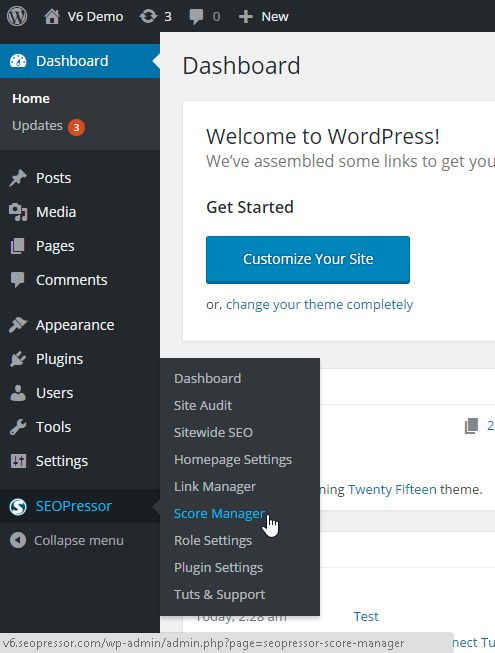 Firstly, go to the WordPress menu on your left, click ‘SEOPressor > Score Manager’. 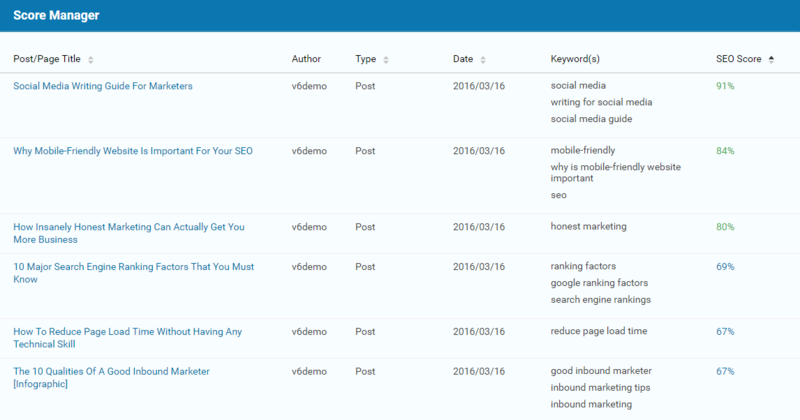 From here, you can see the SEO score for all of your blog posts. Let’s take a look at a blog post with an average score. To improve the SEO Score of this blog post, we don’t have to go to Posts and search for the Title. Instead, we can just click on the ‘Title‘ here on Score Manager. SEOPressor Connect will bring you directly to the blog post. So once you’re directed to the blog post, you can now optimize your content for a better SEO score. To know how to improve your SEO score, you can refer to my previous tutorial on SEOPressor On-Page SEO Analysis System and SEOPressor Progressive LSI Keywords Engine.